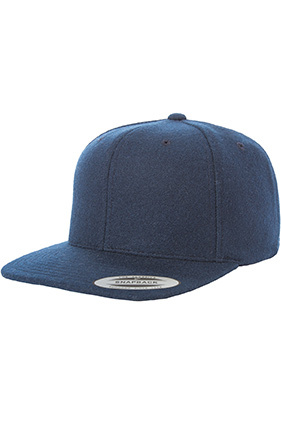 50% wool/30% acrylic/20% nylon melton wool cap. Structured, high profile. Six-panel, 3 1/2" crown. Flat bill, green undervisor. Snapback closure.